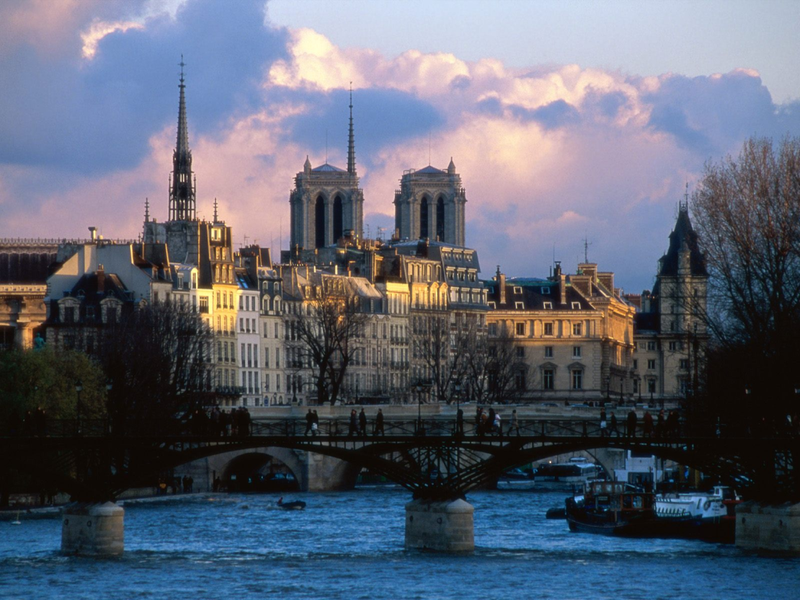 While Ines is still very preoccupied with her thesis, I’ll sneak in my Paris part two. Experience had taught me that deciding one perfume-buy from home, might me a good idea, as to not get perfume- purchase – stress –syndrome, or serious snuffusion, if I wouldn’t be able to choose from the spoils once there. My trip to the Mothership (as baptized by Tara) at 68 Champs Elyssées, was therefore obligatory since my home choice was going to be bought here. It was Cuir Beluga, which stems from the Guerlain L’Art et la Matiere line, and is the fragrant equivalent of wrapping up in a decadent finely woven cashmere shawl. While at the store many other things had to be tested, and had I not been a bit stingy with my available skin space, I’d probably have poured Vol de Nuit Extrait all over myself, as it was, I put some on the right wrist, the right hand being most likely to waft the most fragrance. Give me a moment to gush to myself… Anyway, apart from Vol de Nuit, I enjoyed sniffing the Les Voyages Olfactifs and had thought that the Christmassy Paris- New York would win me over, but in fact Paris- London was the one that really got me with its grassy and rhubarb notes and a soft woody, vetiver, vanilla dry down (full impressions read here ). It is a great fragrance when spring lurks, and you try hastening its arrival with an uplifting and delightful perfume. (I read in the tea leaves of my 5 o’clock cuppa a bottle in the future…) In the end, I was surprised when I reached out to try Le Cologne du Parfumeur, not expecting anything, and loved it from the first sniff. My non-perfumista friend exclaimed “it radiates”, which is true, it does, a mellow wonderful shine. And even though I normally have problems with discreet transparent fragrances, this one has great longevity and projection for an EdC, and a comforting resinous dry down. 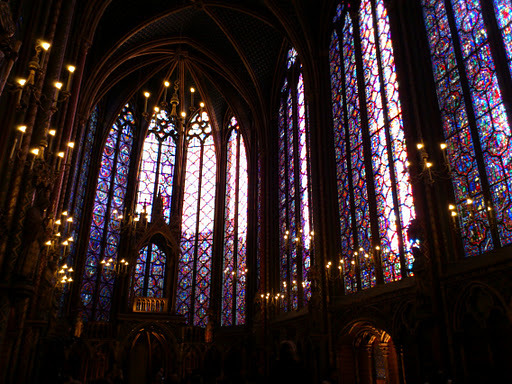 Some nose rest included amongst other things the incredibly beautiful Sante Chapelle. I have found that of the department stores, I prefer Printemps for perfume shopping; the selection is huge, and the staff overall friendly and knowledgeable. I went there to see if I could get to test the new Lubin EdP version of Idole. I love the original Idole spice fest, and thought what I really wanted was a less fleeting more fixated Idole, but now I am not so sure, maybe the charm of Idole is partly in its volatility. It remains to be sniffed, my sample is still waiting to be tried, I did see that the EdP version has already received rave reviews here and here . The stand which has the Nez a Nez and So Oud amongst others has to be singled out for it’s wonderful SAs. I have on both occasions been helped by a young man (that just made me sound ancient:-/) who, apart from being very pleasant, is also very knowledgeable and clearly loves perfume, and not just the ones from his own brands, the kind of person that makes you feel that you’re his new best friend. He has great ideas for trying new stuff, and so I got away with Marron Chic, which I had not given much thought when I first tried it some time ago, but which now seems like the Christmas/winter party scent. It’s sensuous yet discreet, and yummy without being overly gourmand, all in all just very festive. (It has been on a test drive to the opera with some success, I should add as an afterthought) Definitely my winter hit-hot fragrance. At the Armani Prive stand I was surprised to see a new addition to the Arabian Night line; Cuir Noir. I hadn’t heard of the release yet, so was of course very excited by this find. Especially since I do find some of these perfumes to be quite extraordinary, I love Bois D’Encens for example. It turned out it was an exclusive release for Printemps at this stage, which will reach broader release in the next month or so. Unfortunately, there was only the back of my left hand free to spray and there were no samples available, however, what I sniffed I simply adored. Apparently the noir is as in vanilla pods and tobacco, from what I could smell from under the olfactory overload I had suffered; I should say that the cuir was more a soft suede leather as in Cuir Beluga, rather than the spiky Marlboro Man type. Apparently it contained oud too, but I am happy that this particular note really didn’t stick out much on my skin, but was seamlessly blended into the very cozy fragrance. I liked Cuir Noir very much, on the downside is the price of 250€ on the plus is that they will actually carry it at the department store here, so I shall be able to sniff it again as soon as it comes on general release. I am nearly at the end with talking of my sniffing escapades, but I have still to mention Jovoy– I am very sad that I didn’t get to take Ines there, since this really is a most wonderful boutique, that comes with the highest recommendations possible. The staff as well as the owner are super friendly and welcoming, helpful if you need it, but also happy to let you just sniff on your own for ages, and their selection beautifully picked with a broad palette of classic and more contemporary as well as labels from several countries are at display. Normally, they will do you samples of the fragrances you want to test, but they had just run out of vials when I visited, this did not lessen the joy of being there. Especially since the owner François Hénin ended up endowing my friend with Parfum D’Empire samples. Personally, I discovered a, to me unfamiliar line called Romea D’Ameor (the perfumer behind those is none other than Pierre Bourdon ) , got to sniff the 3 new HdP, learned that I really like the Rance and the Atelier Flou lines and I got to revisit old suspects like Amouage, MDCI and Vero Profumo. Also, I should give mention to their own range of Jovoy perfumes with several new additions amongst other a very special incense-fragrance in La Liturgie des Heures. But since I kept ah-ing at all the decidedly male fragrances I was aware my nose was probably no longer to be completely trusted, and since this was my last day in Paris I had to leave without buying. I do have a pretty good idea of what needs my further attention though, and they do ship too. If you are visiting Paris, Jovoy is a must, until then, their homepage is the place to go. Thanks for reading and au revoir ! ← What I expect in the year 2012. 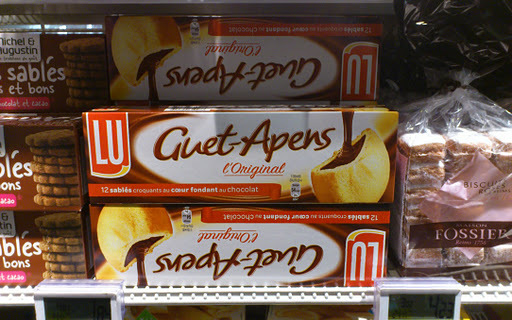 Love the Guet-Apens biscuits! LU is a premium line in France, as evidenced by their branding decision here!I was interested to see where your wanderings took you in Printemps, having recently followed in your and Ines's footsteps there and in IUNX. The selection is fantastic I agree, and though Galeries Lafayette is more or less next door, other than Bon Marche any other department store in Paris would be a let down.I am sorry now I didn't try Marron Chic, though I did eat a packet of hot chestnuts right outside the store! Hi Vanessa, I completely agree on the LU branding, although I do wonder which came first? I must admit that I didn't buy the biscuits, perhaps at that moment there was only place for one Guet-Apens in my life;-)A shame that you didn't get to try Marron Chic, I, on the other hand didn't try the roasted chestnuts outside, which I now regret. Another time I hope.I know that Bon Marche is supposedly the department store for perfume, but whenever I've been there, I just haven't been blown over. And I thought both the selection more interesting and the staff more knowledgeable and friendly at Printemps. But then it might just have been the time I was visiting? Beautiful photos, Asali!Ohhhh, you bought Cuir Beluga! I sooo want it too and wish I had bought it in New York! Such an elegant and comfortable perfume.Tara smelled Cuir Noir too in London the other day too, she got more oud though. I'm intrigued, between your two descriptions it sounds very good.Thanks for your Paris report, I enjoyed both posts. Dear O, I can't take credit for the first photo, but thanks for the compliment on the other two, and I'm glad you enjoyed the posts:-)I really am looking very much forward to smell Cuir Noir again, and if the oud is more pronounced than what I first smelled I'd be only too happy. Last thing I need is another 250 Euro lemming;-)And congrats on your soon to be new Guerlain exclusive bottle, hihi, I think it's well deserved considering the chock of discovering your cherished drops beings used as putzmittel. Asali, Happy New Year! That photo you took of Sante Chapelle is so beautiful and just perfect for including in a post this time of year.I very much enjoyed reading Part Two of your Paris trip; it's especially wonderful to hear how friendly and courteous the SAs are at Printemps and Jovoy. Also enjoyed hearing that you are a fan of the original Lubin Idole; I've fallen pretty hard for it myself (blogger Christos of Memory of Scent kindly gave me a decant). That Olivia Giacobetti … she's a genius, eh? Suzanne, a very happy new year to you too. The SAs I mentioned are outstanding, everywhere else is really very good, so to stand out is something special. I am so glad to hear you too adore Idole, and yes, I agree that OG is a magician. I am normally not one for fleeting fragrances, but she can pull it off to perfection. Of course not all of her creations are transparent or sheer, an aspect I like too. You covered a lot of ground Asali, what a great trip! Between you and Birgit, I am dying to try Cuir Beluga now. It sounds very "me". The oud in Cuir Noir was very nice and soft but I would have preferred to get more of the other notes, as you did. Money saved though.Best wishes to you for 2012! Ines, then there's just so much more of a reason for going back:-DThank you Tara, it sure was 🙂 You must try CB it's beautiful. And re CN; I am so curious to try it again, especially now you say you get more oud, but perfume backward Denmark hasn't received it yet, and now I am worried they might not get it after all.